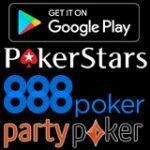 Party Poker Android is a new poker app which offers real money as well as play money poker games to players who own Android mobiles or tablets. 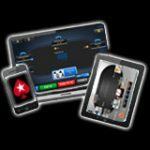 Party Poker Android currently only offers cash games but that also includes the latest fast paced poker game FastForward Poker. 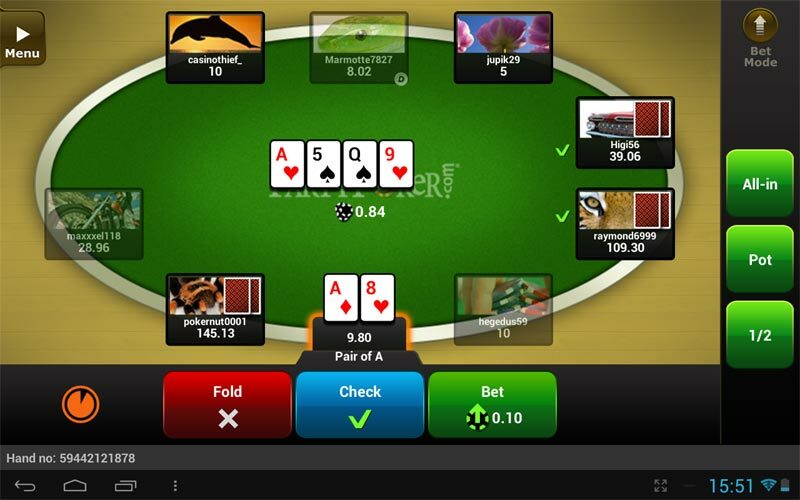 To play real money poker games on the Party Poker Android App, players must deposit and withdraw on the PC version of the PartyPoker software. Sign-up for a free PartyPoker account using one of the bonus codes for PartyPoker below. 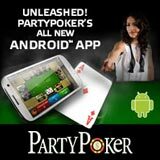 Take your poker game on the move and play poker anywhere with Party Poker Android for mobile phones and tablets. 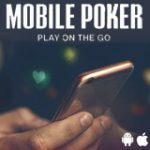 Finally it's here the highly anticipated poker app from PartyPoker is now available for free download. Supports Android Mobiles or tablets. 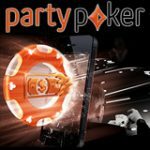 Download PartyPoker Android using a mobile device. Players can sign-up for a play money account directly from a mobile. 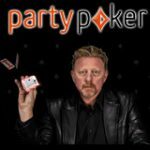 Download PartyPoker for PC - sign-up as a real money player to make deposits and withdrawals. Use a bonus code when signing up as a real money player and get a first deposit bonus in your preferred currency. Players can then login with their username/password to play real money poker games on the Party Poker Android App. FastForward Poker is a new action packed cash game which speeds up the way regular poker games are played. Instead of waiting around for players to make decisions at the table, players have the option to fold their hand as soon as it is dealt to them. Whenever a player folds their hand in FastForward Poker they are moved to a new table where they will be dealt their next hand and playing against different opponents. FastForward Poker can be played heads-up where you'll also face a new opponent every hand, players can also play up to four FastForward Poker tables at the same time. FastForward Poker is also available on the PartyPoker Android App, unfortunately there are no play money tables. 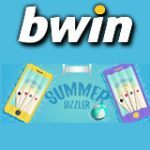 Download PartyPoker to play FastForward Poker.